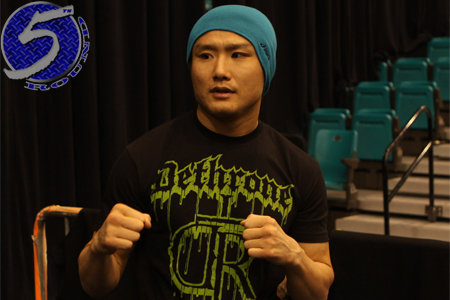 According to lightweight Mac Danzig, he’s facing Takanori Gomi (Pictured) when the Octagon makes its debut in China. Since taking “The Ultimate Fighter 6” tournament in December of 2007, Danzig has posted an inconsistent 4-5 mark in the big leagues. He’s alternated between wins and losses over his past six scraps. Speaking of shaky UFC careers, after lighting it up in Japan, “The Fireball Kid” has mostly been shooting blanks under the UFC’s watch. Gomi’s posted a disappointing 2-3 record since his 2010 signing. “UFC on FUEL TV 6” takes place November 10th inside Cotai Arena in Macau.